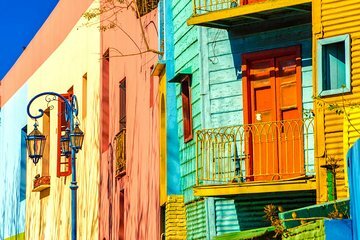 Enjoy round-trip airport transfers and a 3-hour city tour of Buenos Aires with this all-inclusive package. Meet your driver at the airport and head to your accommodation. Hop on board the city tour bus and visit key landmarks like the Colon Theater, Plaza de Mayo, Recoleta and much more. Learn about the history of the city from your guide and take the transfer back to the airport whenever you're ready.